When it comes to dog food products, Cesar brand features prominently in the minds of many pet owners. Cesar has made a name for itself with a wide array of dry and wet dog food formulations with varied flavors to suit different dogs. Despite the proven commitment to delivering value to your dog, some reviews have given Cesar Dog Foods low ratings on the market. But these reviews are contrasted by pet users who indicate they love the brand for strengthening the health of their pets and keeping them safe. 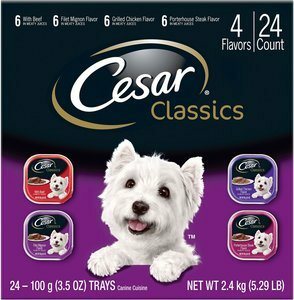 Cesar Dog Food is a brand owned by Mars Company, which is best-known for making candy. The company's effort to supply high-value pet foods is supported by the brand's pet food research unit that ensures all ingredients are in-line with emerging dog needs. Though the headquarters of Cesar Dog Food is in Tennessee, the mother company also maintains other top brands such as Royal Canin, Nutro, and Pedigree. These branches work in conjunction to help progressively improve Cesar Dog Food formulations. Initially, the brand only manufactured pate forms of pet food. Today, the company has diversified to other forms of pet foods including treats, senior food, puppy food, and sauces. The product has become very popular for people with small breed dogs even though it’s also good for bigger dogs. Picking the right food for your dog can be an uphill task even when dealing with a single brand such as Cesar. Key questions that keep running through the mind when shopping for dog food include; “Is this food option the best for my dog?” and “Should I buy the same dog food that my close friend uses?” These five reviews provide a comprehensive analysis of Cesar Dog Food options to help you pick the best one. (0.09 kilograms) View Current Price on Chewy! Does your dog have an insatiable craving for chicken flavored foods? The Cesar Classics Pate Grilled Chicken Dog Food Trays could be the ultimate option to keep it healthy and happy. 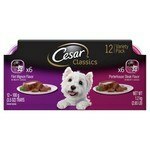 Cesar’s aim when making this food was to provide a balanced diet for adult dogs. The food is fortified with essential minerals and vitamins that help the dog’s bones, teeth, muscles, and ligaments to stay strong. Though the food is mainly preferred for older dogs, it is also okay for those of younger ages. You only need to serve fewer portions depending on the size of the dog. 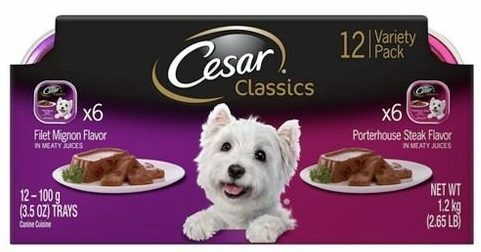 I liked the way Cesar packages this food to make it easy for serving to your dog. The food comes in convenient trays with easy to peel off lids for your dog to enjoy the lovely chicken flavor. The sight of a full chicken grilled nicely is likely to arouse appetites even for dogs that do not fancy regular eating. Cesar went a step ahead and fortified the food with vitamins and minerals that will help to keep your dog healthy. The formula used on the Cesar Savory Delights Rotisserie Chicken Dog Food Trays provides a complete balanced diet that provides your active dog with ample energy to play all day. The main ingredients include animal liver, beef products, chicken, and meat byproducts. I was impressed by the food’s ability to enhance the overall body health of dogs. Within days of feeding a dog on this food, the skin will start becoming smoother as the bones get stronger. In addition to the food being sold at an affordable rate of $18.01, it is also served in lovely trays with seals that easily peel off. This makes feeding your dog easy and fun. Cesar designed this food formulation mainly for older dogs. The Classic Filet Mignon and Porterhouse Steak Flavor Wet Dog Food Variety contains essential minerals and vitamins to help keep the dog’s bones and immune system strong. 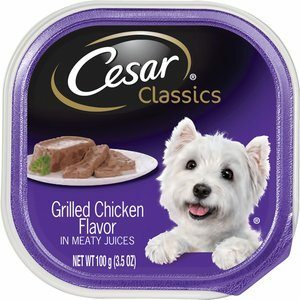 Other key ingredients that make this Cesar dog food a great option for your dog include beef, chicken, and wheat. I liked the commitment of Cesar to keep everything balanced in this food. For example, crude protein in this food is maintained at 8% while crude fat and fiber are 3.5% and 1.0% respectively. This implies that though the food is targeted for older dogs, it can also be a great option for younger and more active dogs. As dogs age, it is common for their preferred tastes to change. Therefore, getting the food that will please them can also be an uphill task. This food is designed with chicken flavor to ensure it is more appealing. Consider warming it to make it even more delicious. If you take a closer look at most of the dog foods I reviewed on this list, they are meant for big dogs, although some can also be used for small ones. You might be wondering, “Is there a specific food formulated for small dogs?” The answer is “yes”. The Cesar Small Breed Dry Dog Food, Home Delights Pot Roast Flavor with Garden Vegetables is a high protein dog food formulated to help small dogs grow faster. It is comprised of 26 ingredients that are aimed at helping your pooch stay healthy and grow faster. Some of the main ingredients include carrots, peas, and potatoes. The food is also fortified with antioxidants and minerals that help to strengthen the young dog’s bones, ligaments, and teeth. It is important to note that the food does not have dairy or chicken. Therefore, it is ideal for young dogs that are allergic to those ingredients. 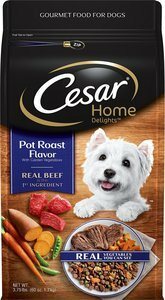 During this Cesar Dry Dog Food review, I found the Cesar Small Breed Dry Dog Food, Home Delights Pot Roast Flavor with Garden Vegetables a great option for young puppies because it supplies 4.5% carbohydrates which is ample to keep them active. However, encourage the dog to remain active to avoid putting on a lot of weight. If you have dogs of different sizes, using various foods to feed them can be a herculean task. However, you can enjoy every moment by getting food that can be consumed by all of them. One great example is the Cesar Club Variety Cube Dog Food Trays, 3.5-oz, case of 24. This food is formulated to provide a balanced diet and optimal health for dogs of all sizes. It combines filet mignon flavor, beef with meaty juices, grilled chicken flavor, and porterhouse steak flavor that will no doubt make your dogs yearn for the next food time. The food provides a balanced diet that is enhanced with vitamins and minerals to help keep your young and old dogs in top health. I was impressed by Cesar’s commitment to adding more ingredients such as Omega-3 and Omega-6 fats that help to strengthen the immune system of your pooch. This implies that your dogs will not be easily attacked by common diseases such as the flu. You should look for dog food that has positive reviews from past users. The focus, in this case, should be listening to people who have used the products and seen the results. You should also read through expert reviews that dig deeper into the ingredients of each food type. Check for food created for your dog’s needs. Today, a lot of foods are formulated to meet the needs of old or young dogs. Therefore, it is advisable to go for the food specifically formulated for your dog’s age. The ideal food for your dog should provide multiple benefits such as keeping immunity strong, supplying ample energy, and protecting it from common diseases. Look for the food that is recommended by veterinarians. Although this does not necessarily imply that the food is of better quality, vet recommendations are likely to help your dog stay healthier. 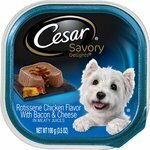 From this review, I found that Cesar products are formulated with the primary aim of ensuring that your dog gets a balanced diet in every serving. For Cesar, the focus is not to simply release food onto the market, but to create a culture of value with dog owners. This is why they run a full-time research unit that keeps improving the products progressively. 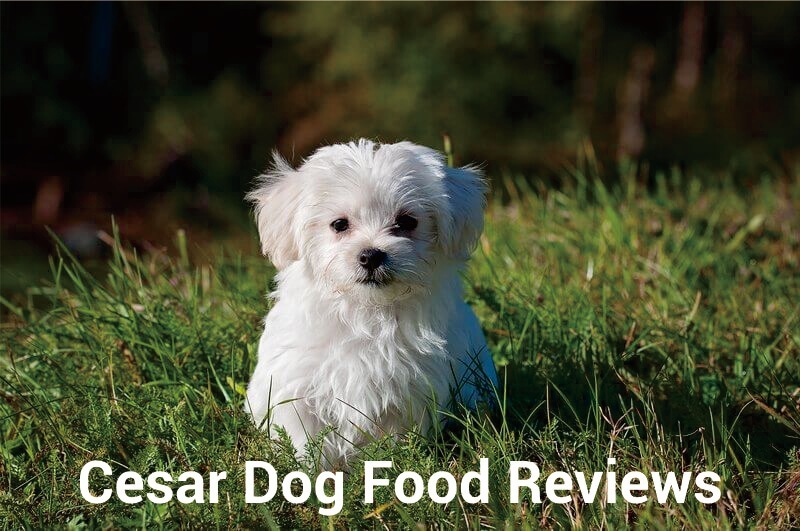 The answer to the main question in this review, “Is Cesar dog food good?” is “yes.” Whether you have a small, older or sickly dog, Cesar Dog Food ingredients will help to get them in the best health. Remember that you can use specific foods based on the age of the dog or general Cesar foods that can be used at different ages. Best Dog Food for Yorkies: Don’t Malnourish Your Yorkie! Canine Carry Outs Review: Best Brand of 2019 (Or The Worst)?